Bed bugs are parasitic insects that feed exclusively on blood, particularly human blood. Because these nasty critters love warm, humid environments, they usually thrive near or inside beds, beddings, and other sleeping areas. Unfortunately, bed bugs are notoriously hard to remove once they made your home theirs! Before using the steam cleaner to kill bed bugs, you have to read the user manual for additional directions and precautions to generate steam safely. You need to generate the optimum level of steam to kill bed bugs since these critters are very hard to control. Temperature has to be right to kill bed bugs otherwise; you are only wasting your time. Most steam cleaners come with a thermometer attached to the nozzle of the steam wand. If your steam cleaner does not have a thermometer, we recommend getting one to measure the ideal temps for killing bed bugs. 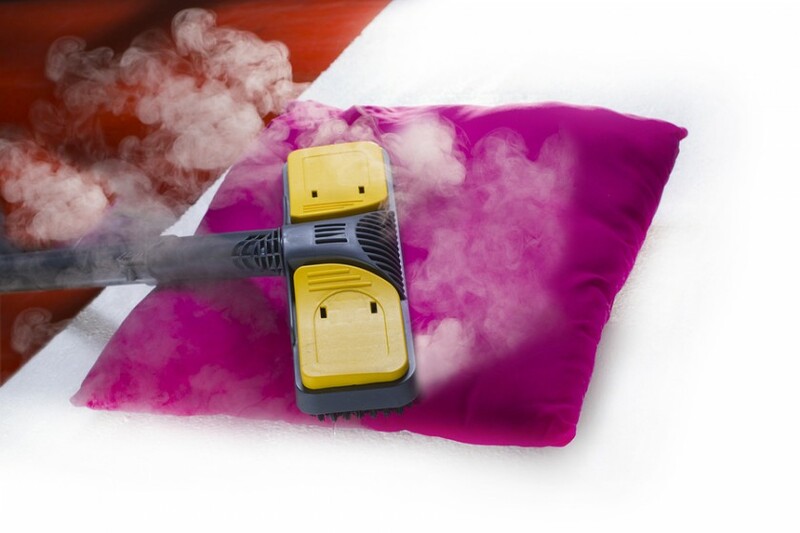 You want to give the steam cleaner a few tries just to make sure you are using the right temperature before hovering the nozzle over the mattress. The surface temperature has to reach 160-180°F. Too much steam could cause damage to the material and too low temperature will not kill the bugs. If the temperature is too low, try moving the wand faster. It is equally important to dampen the material a little so the steam penetrates well into the mattress. However, the material must not be sopping wet. If the fabric is too wet, you can use the steamer to decrease the amount of steam. After adjusting the steam cleaner, start moving the steamer on all surfaces where you see bed bugs. Focus on nooks and crannies where the bed bugs could be hiding. Blast these areas with steam and make sure the steam reaches the farthest corners. You might have to go over the same area several times to banish pesky bed bugs effectively. After you are done steam cleaning the mattress, beddings, and the entire sleeping area in the home, use an electric fan to circulate the air. This way, the steamed items will dry twice as fast. At this point, you can either continue steam cleaning the rest of the house (which we recommend) or seal the sleeping area to prevent a re-infestation. Once you are leaving the items to dry, read the user manual again and check how to cool off the steamer properly so the pressure is relieved gradually. If the pressure builds up too fast, it could cause the steam cleaner to malfunction!